The 5th International Conference on Ambient Systems, Networks and Technologies (ANT-2014) is a leading international conference for researchers and industry practitioners to share their new ideas, original research results and practical development experiences from all Ambient Systems, Networks and Technologies related areas. The ANT-2014 will be held in conjunction with the International Conference on Sustainable Energy Information Technology (SEIT). ANT 2014 will be held in the city of Hasselt. Hasselt was founded in approximately the 7th century on the Helbeek, a small tributary of the Demer river. The name Hasselt came from Hasaluth, which means hazel wood. During the Middle Ages, it became one of the bigger towns of the county of Loon, which had borders approximately the same as the current province of Limburg. 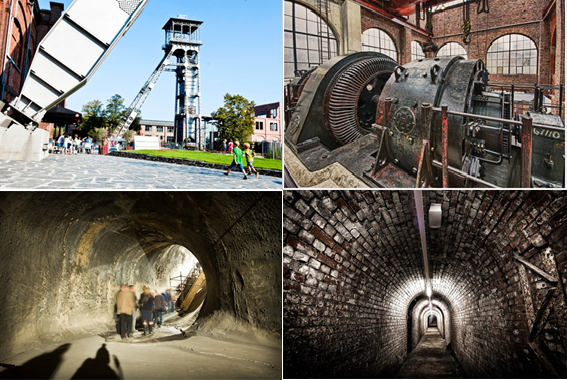 Hasselt is an old yet modern city which is home to multiple academic institutions and where visitors can enjoy a variety of activities and entertainment. ANT 2014 is co-organized & co-hosted by the Hasselt University, Belgium. Since 1973 Hasselt University is located on the Campus Diepenbeek, which occupies an attractive 150 acre site in the middle of Limburg's green belt. It is 2 kms west of the town centre of Diepenbeek, a residential town of 17.717 inhabitants, and 4 kms east of Hasselt which has a population of about 69.529 and is the administrative and commercial centre of the province. Brussels is 90 kms away (to the South-West), Antwerp lies 90 kms to the West, Liege (in the French-speaking part of Belgium) 45 kms to the South, Maastricht (in the Netherlands) 25 kms to the East, Aachen (in Germany) 60 kms to the South-East. All ANT-2014 accepted papers will be published by Elsevier Science in the open-access Procedia Computer Science series on-line. Procedia Computer Sciences is hosted on www.Elsevier.com and on Elsevier content platform ScienceDirect (www.sciencedirect.com), and will be freely available worldwide. All papers in Procedia will be indexed by Scopus (www.scopus.com) and by Thomson Reuters' Conference Proceeding Citation Index http://thomsonreuters.com/conference-proceedings-citation-index/. The papers will contain linked references, XML versions and citable DOI numbers. You will be able to provide a hyperlink to all delegates and direct your conference website visitors to your proceedings. All accepted papers will also be indexed in DBLP (http://dblp.uni-trier.de/). C-mine expedition starts in the energy building of the C-mine site. First you descend to 6 meter deep where you get to see a lot of surprising installations. Famous artists such as Stijn Meuris and Pascale Platel made unique stories about the mine in combination with creative image projections. In the interactive sound cell you are going to get busy. Produce your own 'sound ' by levers, buttons and wheels to operate. Or sample the atmosphere while you're wondering around in the maze on the way to the topsoil.The highlight of the expedition is to climb the giant and authentic mine tower on the square. That is more than 60 meters high! Perhaps you reach the top exhausted, but the reward is greater: gorgeous views of the green surroundings of Limburg. For the slightly less ' big ' daredevil, there is a stop at 15 metres height. If you don't like heights, stay comfortable with both feet firmly on the ground. Just enjoy the open feeling on the beautifully renovated square. Recreated and customized by AHY.